All aboard the RedBus Bingo special and tickets please!! 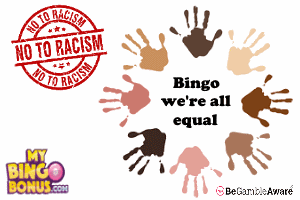 RedBus Bingo is a fabulous take on the classic Bingo site with a very colourful look. There is a general feel-good fun factor that really does hide the serious games that lay beneath, one of which is the awesome £1,000,000 Big Ben Bonanza. Get past the brilliant “come play” home page and there is lots to like. There is something for most levels of play at RedBus, from the newbie that’s keen on spending little and getting loads out, to the medium player that’s happy to spend more than pennies and cash in on some of the sites biggest games. Talking of which, is the monster of a weekly sliding Jackpot game that plays every Friday at 9:30pm. 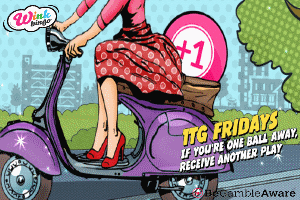 Big Ben Bonanza with £1,000 guaranteed and £1,000,000 potential. Is it perfect? No, but their players love it. Would we recommend? YES, and Yes. Wait…Yes!. RedBus Bingo colourful, entertaining, easy to navigate and packed full of mega games and massive pots. The Free Bingo is brilliant too. If there was a downside, then it would be that they don’t have a “no Deposit” offer. New players only. Deposit £10, get 250% bingo bonus (up to £250). To withdraw wins related to bingo bonus, wager 2x the deposit + bonus funds. 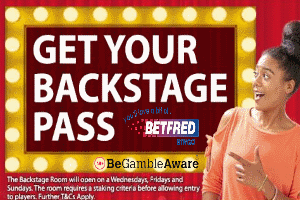 Withdrawal restrictions & Full T&C’s apply. There is no such thing as a free supper, and at RedBus you need to know what you are accepting when you take your bonus funds. Likewise, you need to know what and when you can withdraw your winnings. Full details will be in their Terms & Condition’s on the bottom of the homepage. Time to cash-out: 5 – 8 working days.